Tempting and delicious, liquid nitrogen ice cream is more than a dessert, it’s a unique experience that creates instant memories. Enjoy classic favorites and discover new temptations with a variety of taste-bud-tantalizing toppings. Pop in today, we can’t wait to satisfy that sweet tooth and alter what you think you know about ice cream. 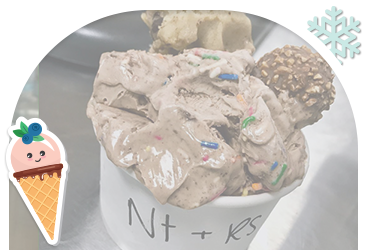 At Frozen Nitrogen, we take the classic American treat and, using cutting-edge science and other way cool stuff, mix it up into a creamier, dreamier version. Drop in for a tasty scoop or two today. Infused with liquid nitrogen, your frozen yogurt treat is about to get way cooler than you ever thought. Available in more than a dozen base flavors, our frozen yogurt promises icy satisfaction. 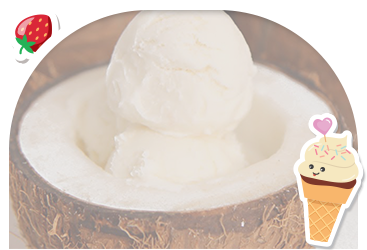 Friendly to those who are lactose intolerant, coconut milk ice cream is a healthy, vegan alternative to dairy-based ice cream or yogurt. It’s a delight everyone enjoys. Located on North Alafaya Trail in the University Commons Center, Frozen Nitrogen Ice Cream offers a deliciously unique experience with ice cream, frozen yogurt and coconut milk desserts. Served in a bright, clean and welcoming environment, our treats have earned us an average five-star Google rating. Find out why by joining us for a scoop or two today. And make sure to ask about our Dragon’s Breath! It’s ice cream, only better. We know, we know… how could ice cream be any better than it already is? Ask those who have tried nitrogen frozen ice cream and you’ll be tempted to make the transition, too. Quickly freezing the creamy base at a faster rate than any other method, liquid nitrogen removes most of the ice crystals created through other means, making the treat much creamier and denser. Whether you choose ice cream, frozen yogurt, or a base of coconut milk, you’ll enjoy a taste and oral sensation unlike any other. Constructed from the freshest, high-quality ingredients, every frozen treat is custom made to your liking. Choose from more than a dozen flavors, add some mix-ins and toppings, and add to the temptation with a dollop of whipped cream or a drizzle of sauce. The options are practically endless and completely up to you. 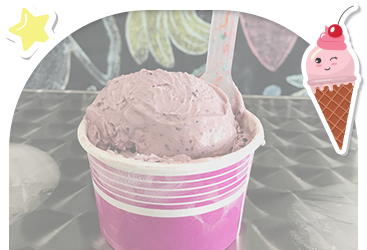 Whether you choose to visit us at our ice cream shop in Orlando or want Nitrogen Frozen Ice Cream at your next party or special event with catering, we promise awesome treats served up by friendly and knowledgeable team members. Join us for a frozen treat experience, won’t you? We’ve got the scoop on flavor. Contact us now!